Microsoft Surface Pro with LTE initially went on sale in the beginning of December for business customers only. However, now any customer can order the tablet from the online Microsoft Store. UberGizmo first reported the news. The Microsoft Surface Pro with LTE comes in two configurations. The base model costs $1,149 and comes with an Intel Core i5 processor with a 128GB SSD and 4GB of RAM. The $1,449 model comes with the Core i5 processor with 8GB of RAM and 256GB of SSD storage. 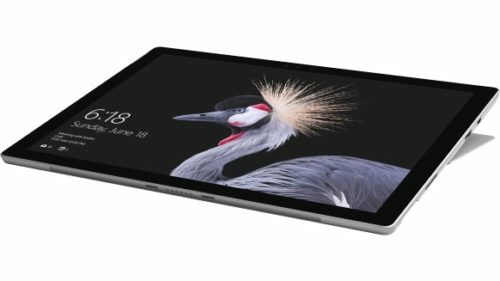 The Surface Pro with LTE also offers up to 13.5 hours of battery life with a high-resolution PixelSense touchscreen display and newly redesigned front-facing speakers. The LTE variant of the Surface Pro is an “always connected” device, powered by Qualcomm’s Snapdragon X16 LTE modem capable of providing up to 450mbps download speeds. The LTE variant also has more of a streamlined design of the device as it does not have the grey bands that, in my opinion, ruin the look of the regular Pro. The tablet can be found in some retail Microsoft stores. The cheaper model with 4GB of RAM and 128GB of storage is also available on Microsoft Store at a discounted price. Airtel Mobitude 2013 is here!